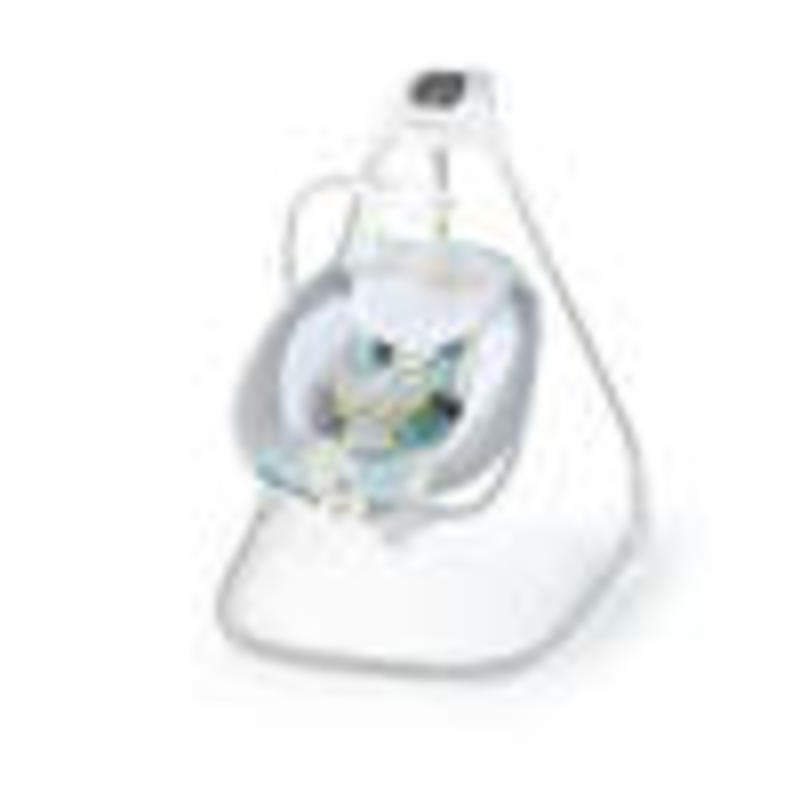 SimpleComfort Cradling Swing - Everston is rated 4.5 out of 5 by 37. Dimension (in) 27" x 29" x 35"
Rated 3 out of 5 by Stef from Fell in Love with it then fell right out My daughter got this for her baby as a shower gift. We've only been using it a few days and now the music crackles and the swing wants to stop swinging now. Which stinkd cause my granddaughter really loved this swing. Could you exchange it for her.? Or is there a store in LasVegas here where we could take it and just exchange it.??? Rated 5 out of 5 by Brittany R from Recieved As A Gift I recieved this swing as a gift at my baby shower , me and my husband put it together and left it we assumed it needed batteries till today when I noticed in the instructions it included a cord plugged it in our outlets and it hasnt worked we need help ?? Is it suppose to charge or come automatically on ?? Rated 1 out of 5 by Christiana from Im disappointed Its an amazing swing however it only swings half the time and now it sounds like it is cracking everytime I turn it on. I called customer service and have yet to get a call back I registered it and everything and now it looks like I am not going to get help with a broken swing that my son loves. Rated 4 out of 5 by momandteacher from Great features! We really enjoyed this swing for our baby. It had some great features and it calmed her down quickly. She would often fall asleep in it, so it must have been comfy for her. We got a lot of use our of it in her first few months. Rated 5 out of 5 by Kelly19 from Love changing swing position This swing is so cool because you can change the direction the the swing goes in and so you can find what works for your baby. The timer is super helpful. It's very plush so I would assume it's very comfortable for my baby. It's a little bulky, but still light enough to move around the house and the swing can be plugged in or run on batteries. Rated 5 out of 5 by Ronnie from Love this swing This swing was a godsend for when baby boy needed some gentle motion to rock him to sleep!